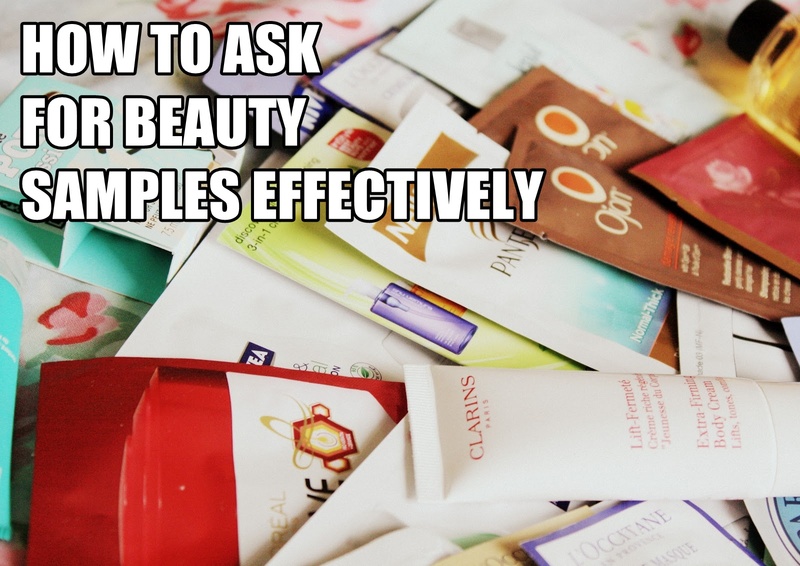 Sometime last week I brought up this topic on asking samples from beauty counters (generally in Malaysia). Many of you gave negative comments. I think that's pretty normal. After hearing all your comments, I have some tips to share with you on how to ask for beauty samples effectively without getting brushed off by SA. Some are tips from my friends, and some are experimented by myself. As much as I discourage people to lie, but lying is one effective way to ask for beauty samples. Tell the SA that you're a regular user of a certain product and how good it is doing to your skin. Make it sound like you can't live without the product. Then mention that you're going somewhere really far and you need the sample size to carry on the plane. It works all the time!!! Another way is using reverse psychology. Let's say you want to try Product A. Mention to the SA that you've been using Product B and it's not doing any good to your skin. Ask she can give you sample for Product A because you're afraid Product A might give the same result as Product B. This works like 80% of the time. Friend: I've been using this moisturizer for a year. It's really hydrating. You see.... my skin is not dry anymore. You: Ya kah? I want to try lah. Should I get it or not? Friend: Get lah. Really nice one. You really have to try then only you know. You: But I already have my own skincare. If I use d not ngam how leh? Friend: Ask them for sample lah. Try a bit first. If ngam then you buy lor. You (approach the SA): You got sample for this or not? I want to try first lah. But you must make sure the SA heard your conversation. Or else it won't work. This is a bit inconvenient though. It is so much easier to be nice with the SA. Although majority of SA in Malaysia are quite rude, I must say I do encounter some who are really nice. Compliment her lipstick color, or her hair, or her shoe, or anything on her to strike a conversation. It will lift up her mood. Also, going to the mall early in the morning helps a lot. They're less hectic and their mood isn't spoiled by any other customers yet. That's why I always shop in the morning. If she doesn't speak good English, then speak in the language she's comfortable with. I find that most young Chinese girl SA don't speak perfect English. Sometimes they strive too hard to explain something. When I switch to using Canton or Mandarin, I can see that little smile of relieve on their face. If you make their job easier, they will tend to be nicer to you. This is something I've not done because time is quite precious to me. I normally check out beauty products online and then get it straight away when I reach the mall. But my friends told me that, if you spend at least 15 minutes at the counter, the SA will tend to give you samples. From my reasoning, it can be (1) they're comfortable having you around and started liking you, or (2) they really want to get rid of your presence, so it is better for them to give you the samples and you can leave sooner. There you go. If you try out any of the tips above, let me know if it works on you. Before that, PLEASE don't abuse these tips. Don't ask for the samples simply because it is free. Ask for it because you really want to try it. If you spoil the market, they won't even give out any samples in the future. By the way, Estee Lauder Malaysia is giving out samples on their latest Advanced Night Repair Eye Serum Infusion. Go check out their FB, fill in your particulars and then select your nearest Estee Lauder outlet. I heard this is very good. I really can't wait to try out since I have a serious case of dark circles to combat.